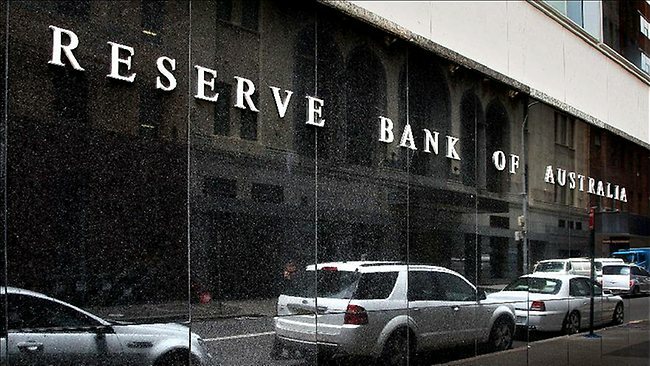 The Reserve Bank of Australia is gearing up to cut interest rates this evening. 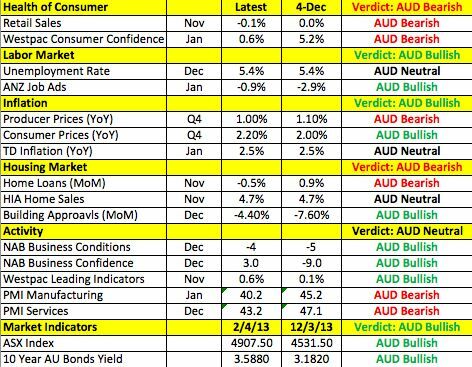 The market is currently pricing in 32bp of tightening which means that investors expect the central bank to reduce rates by a minimum of 25bp. 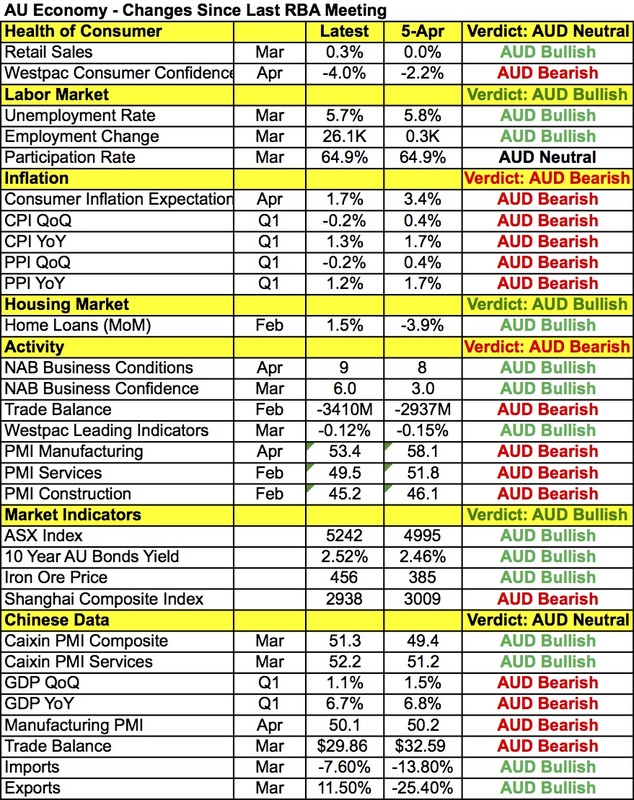 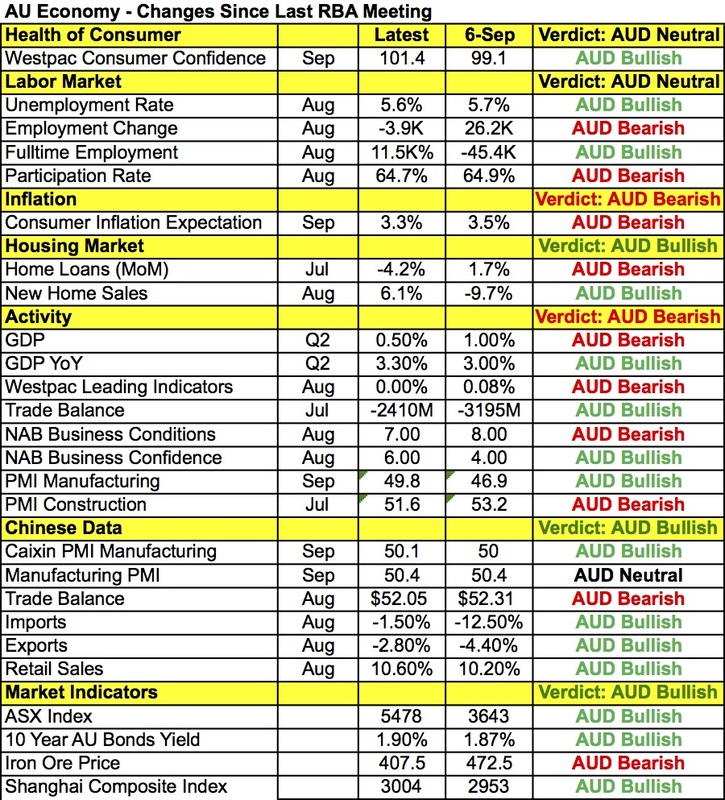 50bp is a possibility but given some signs of improvement in Australia’s economy (jobs and construction/services), I expect a more moderate move. 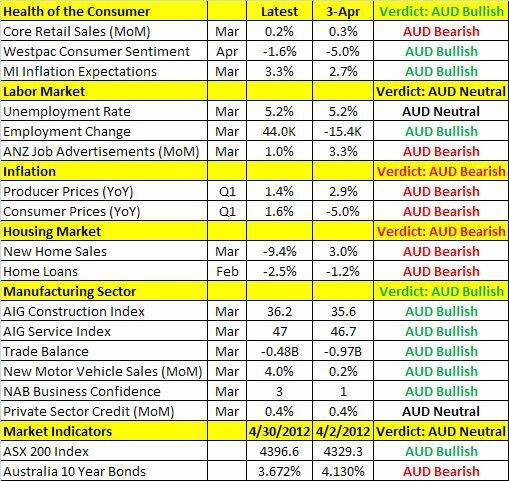 Here’s a table comparing how economic data has fared since the last monetary policy meeting on April 3rd.